Reference: Mark dates this to before Dec. 1937. Brunialti, American Costume Jewelry - Art and Industry (2008) Vol 2 p 71, reproduction of Hammecher Schlemmer advert in Mademoiselle Magazine Dec 1937 showing this pin with other Trifari miniatures - click thumbnail above to view advertisement. 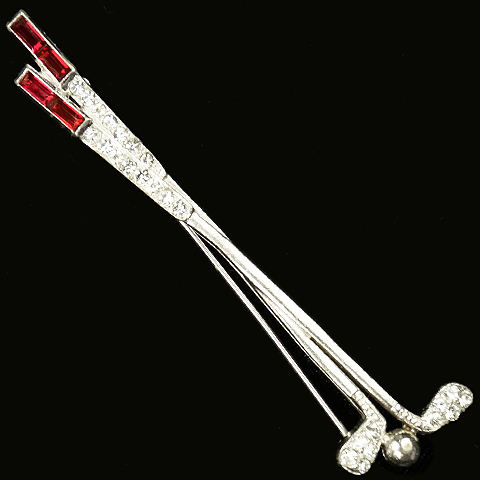 This is a variant to the pin described, without enamelling and with baguettes.